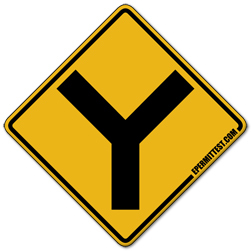 Y intersection. One of the intersection traffic signs. There is a three-way intersection up ahead on the road, with all roads being of equal size and importance.